For Italians coffee is not only a beverage, it is an art. The process that turns the ripe, red coffee cherries into the delicious and aromatic drink that people all around the world enjoy every day is a highly complex and fascinating path. It involves multinational collaboration between the coffee growers, pickers, mill workers, roasters, and finally consumers or baristas who grind the beans and prepare the beverage. For over 100 years, Lavazza has worked to perfect the art of coffee making to guarantee a great tasting end result. Lavazza, founded in Turin, Italy, in 1895, has been family-owned and managed since its inception. 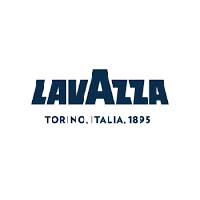 Today, Lavazza is Italy’s favorite coffee, one of the leading brands in Europe, the sixth largest roaster in the world and a global provider of espresso, coffee and single-serve systems for the Home and Out-of-Home markets. Its North-American HQs are based in New York City.